Since the very early days when we began collecting, we have always enjoyed finding ways to make our favorite toys & displays better (see our Alterations Blog for details!) Since then, our means to make toys cooler has developed considerably! Welcome to the Unicron.com Accessories for Collectors Section. Here, we outline the products we have designed and manufactured, how and where to buy them, and even shed some light on items we've dreamed of making, but for one reason or another, have not done yet. Debuted online in the spring of 2009, comes our sixth Accessory Set. Click the link below for all the details! * Key to Vector Sigma. 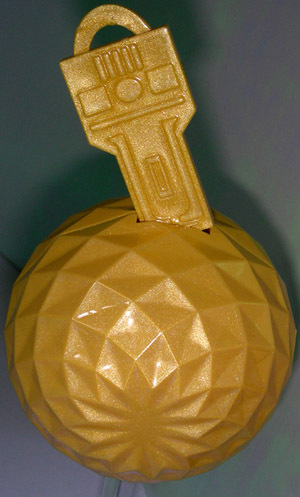 The super-computer orb and key each come with a multi-layer paint coating to give it a glossy, metallic shine. HERE a complete information page with additional product details and photos. 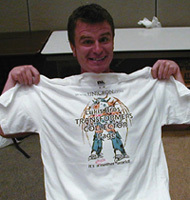 Click HERE to purchase set direct from transformersclub.com. In 2006 we unveiled a set for Beast Wars Transformers fans, in its 10th Anniversary. Each Golden Disk Accessory Set includes two solid metal alloy disks: one an exact replica of the real Golden Disk, sent aboard the Voager Space Shuttle, a second disk with Alien Symbols, and the infamous 'disk reader'. 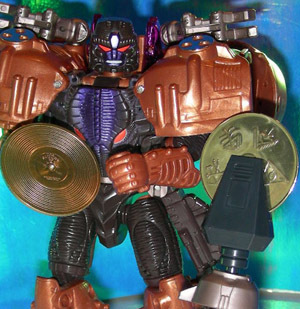 This piece is an original molded attachement that easily connects to Transmetal Megatron's tail. Click HERE for all the product details. 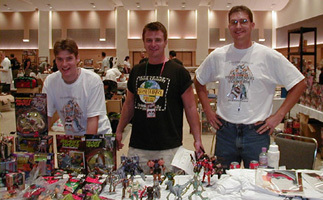 To the left, you'll see our second product offering which debuted at the official TF collector's convention in 2003. 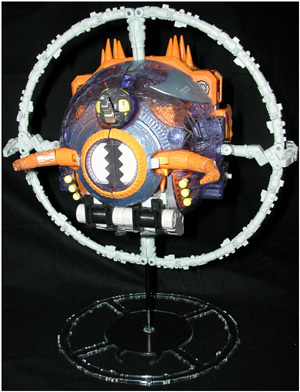 It's a figure stand for Unicron (of course, it works with Energon or Armada versions of the toy) allowing him to "float" in planet mode. CLICK THIS LINK to learn all the details and answers to frequently asked questions. I have an extremely limited number remaining, (less than 10) if you're desparate, send me an e-mail (perceptor_at_unicron.com) I can probably hook you up with one. 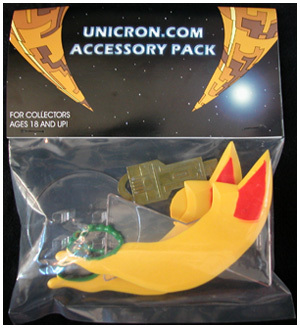 Our third Unicron.com Accessory pack was unveiled in the summer of 2004, to coincide w/ Transformers Energon series of that time. Fans of the original series use this set to compliment their G1 figures. 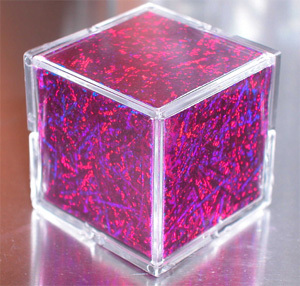 Cubes can be stored and displayed with or without the glistening energy inside. Click HERE for additional pictures and details. Review on Ben Yee's bwtf.com. Complete packs have been SOLD OUT for some time. However, we have a limited quantity of Blackarachnia Stands, Cheetor Swords/Bracket) available for direct shipment ($6 each). Contact [email protected] with questions or to place order. So where can you find and buy these rare energon goodies? No question about it! It was ambitious! 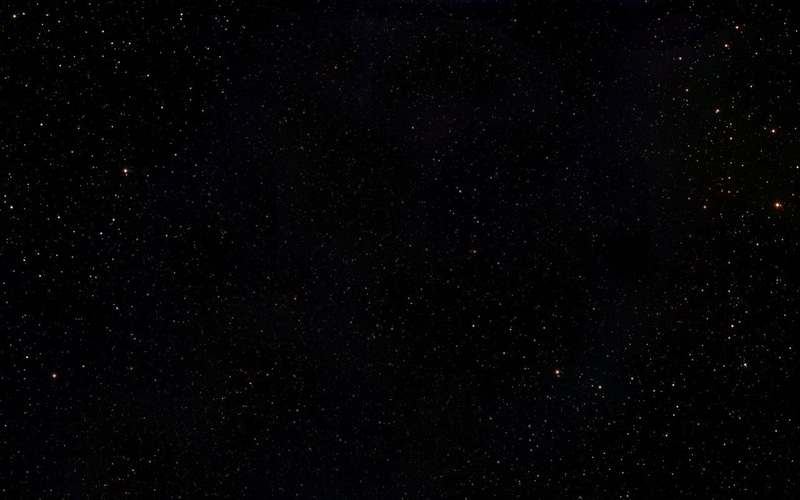 Shown to the left, you can see one idea we had for a Diagnostic Drone. It's still possible that this may be produced, but for now our next step/plans involve other ideas! (insert evil cackle, laughter here!) 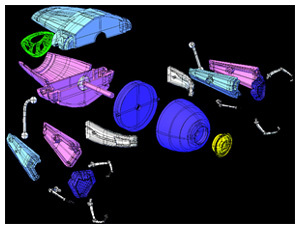 But we thought it'd be a shame to let all that work go to complete waste, so we hope you enjoy THIS PAGE which gives some insight into our process of TF Accessory design and manufacture. We're interested in your feedback. Send product questions, comments or suggestions to [email protected] Thank you for your continued support! 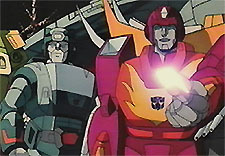 shouted as he lends us a hand at BotCon '99!